The Nebraska No Kill Canine Rescue mission is to rescue, rehabilitate, and re-home rescue dogs. We have been a vital part of Nebraska communities for a number of years. 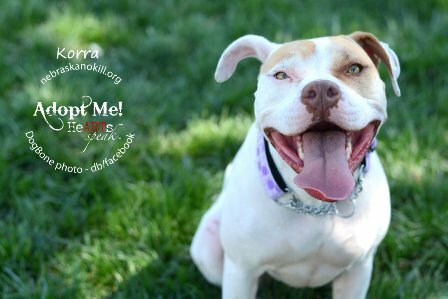 Nebraska No Kill Canine Rescue (NNKCR) was originally formed in 2010 by five people who wanted to provide a foster-based no-kill option for all dogs regardless of breed. They had a dream that one day all adoptable dogs in Lancaster County would find loving homes. We utilize a network of foster homes and a 100% volunteer staff. We have continued to grow with the help of our donors and volunteers who make our mission possible. To date, Nebraska No Kill Canine Rescue has rehomed more than 350 dogs, with a success rate of 97% on adoptions. Our rescue was also a finalist in 2013 and 2014 for the Lincoln's Choice Awards in the Charity/Non Profit category. NNKCR is a 501(c)(3) Not-For-Profit dog rescue group. We provide emergency foster care for homeless dogs, veterinary care for dogs in our care and find forever homes for homeless dogs. NNKCR is an all-volunteer organization, and 100% of all funds donated go toward our rescue efforts and the dogs in our care.